The programme is based on bilateral educational cooperation agreements signed between the Ministries responsible for education in the sending countries/territories and Hungary or between institutions. Currently more than 60 Sending Partners are engaged in the programme throughout 4 different continents. The Stipendium Hungaricum Programme is operated by Tempus Public Foundation under the supervision of the Ministry of Human Capacities. Within this Programme foreign students can apply for Master (duration: 2 years) or PhD studies (duration: 2+2 years). The scholarships cover a monthly stipend and accommodation for the whole duration of the studies. For full time and part time programmes, students can apply who have the nationality of the Sending Partner. 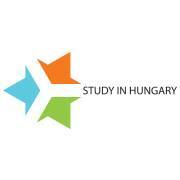 The list of the Sending Partners available at the www.studyinhungary.hu website.